Just because Father’s Day is over doesn’t mean you have to stop showering Dad with love. 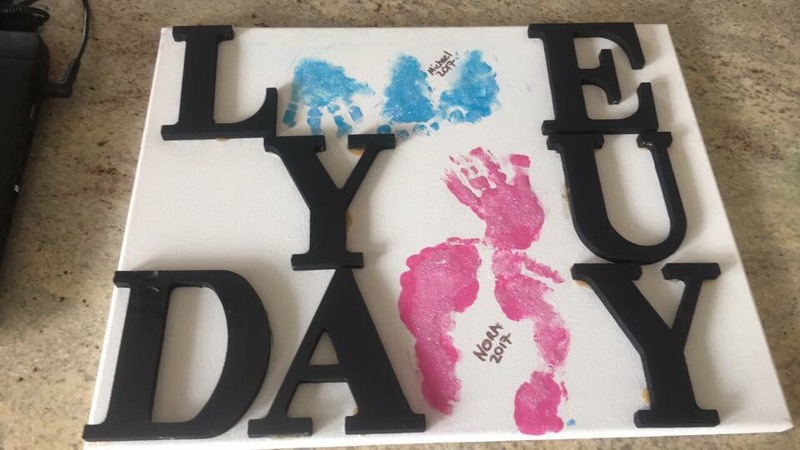 A colleague of mine shared this awesome Love You Daddy footprint craft with me and I wanted to pass on all the tiny-footed cuteness to you guys. Hope you enjoy! Using letters, spell L_ _ E Y_U D A_ _ Y, as shown, on three separate lines. Your child/ren’s hand and footprints will fill in the blanks at a later step. Glue down letters and allow to dry until securely in place. Once dry, and the names/ages/dates of children. Gift and enjoy!